The European Society for Child and Adolescent Psychiatry evolved from the Union of European Paedopsychiatrists (UEP) which held its first meeting in October 1954 in Magglingen/Switzerland. The UEP held several conferences during the following years until the official foundation of the UEP in September 1960 in Paris, France. The organization changed its name twice: in 1982, to European Association for Child and Adolescent Psychiatry, and after the congress in Lausanne (1983), to European Society for Child and Adolescent Psychiatry(ESCAP. www.escap.eu). Today it has members from 32 countries. The goals of ESCAP are to foster European knowledge and skills in child psychiatry, to spread the results of research and clinical experience, and to collaborate with international organizations in policies aimed at increasing quality of life among children and families. 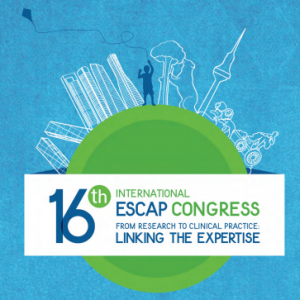 Over the past years ESCAP has worked towards improving its biannual International Congress. This process began with the last three ESCAP congresses in Budapest (2009), Helsinki (2011) and Dublin (2013). These congresses have achieved an excellent level of quality, and great emphasis on new research. In order to do so, the ESCAP relies on an International Scientific Advisory Board composed of renowned professionals. The 2015 Congress will take place in the city of Madrid, which is easily accessible from around the world and is well prepared to cater for visitors. The host will be the Spanish Association of Child and Adolescent Psychiatry (Asociación Española de Psiquiatría del Niño y del Adolescente, AEPNYA. www.aepnya.org). AEPNYA was created by thirty associates in Barcelona in 1952 and therefore is one of the first Child Psychiatry Associations in Europe. From the very beginning, the main objective was to promote the scientific progress of the specialty and to be a forum in which all psychiatrists working with children and adolescents could share and exchange knowledge. The Spanish Association is a member of the European Society of Child and Adolescent Psychiatry (ESCAP), the International Association of Child and Adolescent Psychiatry and Allied Professions (IACAPAP) and the European Union of Medical Specialists (UEMS). AEPNYAis delighted to host the next ESCAP international congress. This congress will be open to child and adolescent psychiatrists as well as other colleagues working in the field of child and adolescent mental health, such as psychologists, nurses, teachers, policy makers and any other professionals working with children and adolescents. The organizers hope that attendants will be able not only to learn and share their knowledge, but also to enjoy the beautiful city of Madrid.